Outdoor Lighting Perspectives of Nashville offers you the whole enchilada with all the trimmings. The ultimate in smart home technology is lighting control. Would you buy a car just because it offers you the convenience of a remote control ignition that could be started before you walk out the door to get into your car in the morning? You probably would not let that be the deciding factor for you to purchase a particular car. But in the same token, finding the perfect car with the perfect features to suit you would only seem more appealing when it came with all the bells and whistles, like a remote ignition. Most consumers don’t purchase items or services just to get the extras, but when the extras are part of the available package it can truly sway you in one direction or the other. Many analogies can be made in terms of making the decision to go with a product or service that offers you the convenience of hands-free or remote features. But until you see an individual need tied to these features personally, you may likely view them as nothing more than mere “extras”. Outdoor lighting is one such example. 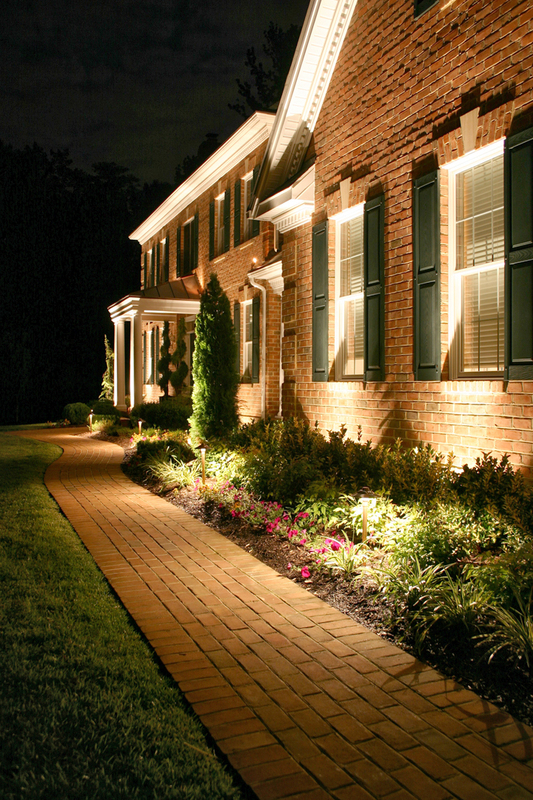 The technologies of outdoor lighting are advancing rapidly and with those advancements come high-tech automation that is geared to make your home safer and the available way to control your outdoor lighting much more convenient. Wouldn’t it be great to not have to worry about turning the lights on and off in the evening? Wouldn’t it be great to have a way to turn the lights on for your daughter who is running late returning from her movie date with her girlfriends while you are still out to dinner? How about being able to program your lights to come on and off at different intervals while vacationing to give the appearance that someone is home without having to depend on a friend or neighbor to do it for you while they are feeding Fido or watering your ferns while you are away? If an easy, convenient answer to addressing all of these situations with simplicity seems too good to be true, it actually isn’t. All of these scenarios can be easily achieved through the use of LCA or (Lighting control automation). 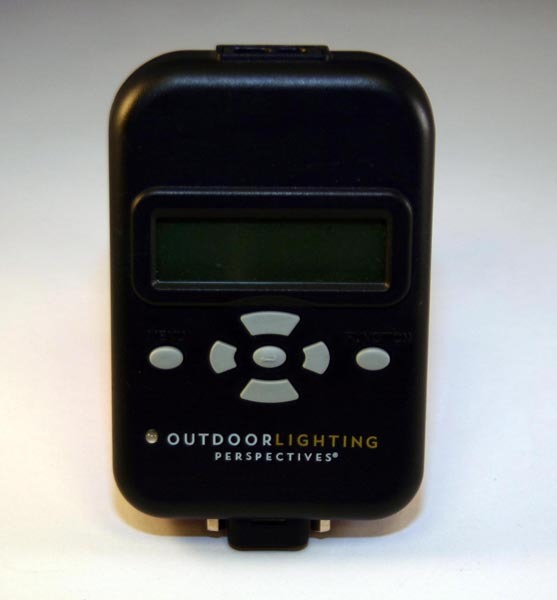 Outdoor Lighting Perspectives of Nashville offers homeowners the most up to date, set it and forge0t it lighting automation on the market.We can even program your automation to be remotely accessed from anywhere by way of your smart phone. This technology paired with our exclusive top-quality fixtures, expert design and stunning lighting installations is like having your cake and eating it too. If you want one function automated or 100 things automated, we can do it all with one timer. If you want to control lights from an existing switch location, we offer up to eight individual functions available per switch. One function can control several lights or any individual light that may be causing you stress. These areas controlled by the timer will only need receiver devices so they are networked together. 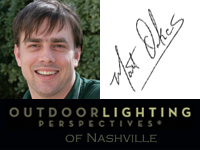 We have been creating beautiful outdoor lighting designs here in the Nashville, TN area for many, many satisfied customers for over 20 years now. We offer the best of landscape and garden lighting, architectural and facade lighting, deck and patio lighting, tree lighting, entrance lighting, pool lighting and even commercial lighting and holiday lighting. We can create the automation that fits your individual lifestyle and needs. With us you won’t get a “generic” outdoor lighting automation with limited capabilities. We will personally meet with you to discuss what your needs and wants are and custom design your outdoor lighting and the automation to match. Take a look at our before and after photo galleries to see our stunning detail oriented designs, many of which are controlled through automation. This entry was posted in Deck lighting, Green Lighting, Holiday Lighting, Indoor Lighting, Indoor Lights Nashville, Landscape Lighting, Lighting Control Automation, Lighting Timers, Outdoor Lighting, Outdoor lighting design, Outdoor Lighting Installation, Outdoor Lights Nashville, Pool Lighting, Residential outdoor lighting, Security Lighting and tagged architectural lighting, Automation, Christmas lighting Nashville, Driveway Sensor, Landscape Lighting, Lighting Automation, Lighting Control Automation, Lighting Control Automation Nashville TN, lighting design, lighting specialist, Nashville Christmas Lighting, Outdoor Lighting, outdoor lighting Nashville, outdoor lighting perspectives, Wireless Lighting Control by outdoorlightingnashville. Bookmark the permalink.